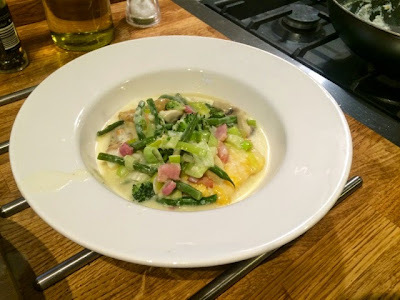 Whilst a chowder may sound like the sort of meal that might take ages to prep or be a bit complicated I actually find it a really great meal to make when I’ve got a nice bit of fish in and I want to use up some veg and potatoes. It’s actually pretty simple to put together, quick enough to do mid week and makes a nice change from just plain fish, veg and potatoes. You could make this dish with any type of fish really but I do find the flavours work particularly well with something smoked. 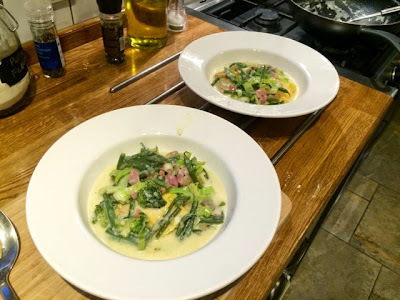 What I really love about chowder is that it’s a really creamy and indulgent feeling dish without actually being that heavy and bad for you as we use milk to make the sauce rather than a load of cream. For me this is a real comfort food dish, a lovely steaming hot bowl of goodness that should be served with a couple of nice chunky slices of bread to soak up all those delicious juices. 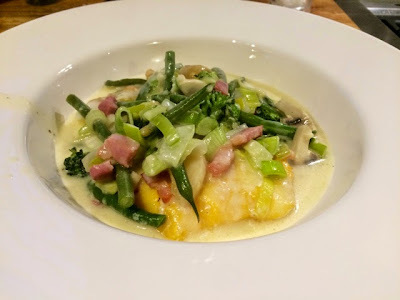 As well as ensuring that the sauce is well seasoned, poaching the fish in it makes it take on all those delicious smoky, fishy flavours and it really is tasty. 1. Put the potatoes on to boil. 2. 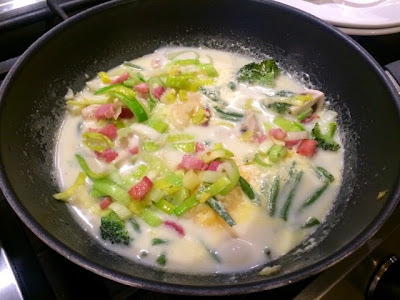 Heat a tbsp of oil in a large pan and begin to fry the bacon lardons, throw in the leeks and gently sautée for a couple of minutes until softened. 3. 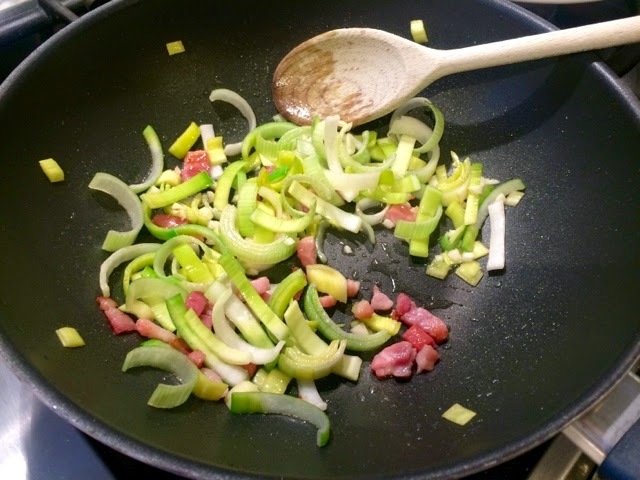 Use a slotted spoon to remove the leeks and bacon from the pan and set aside. 4. 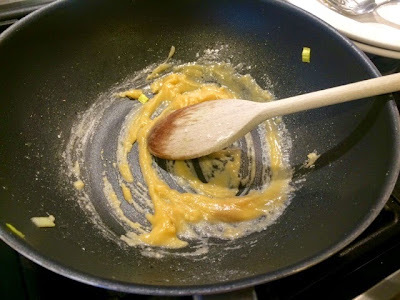 Melt the butter in the pan and add the flour, mix together to make a roux and stir for a couple of minutes until the paste forms a golden colour. 5. 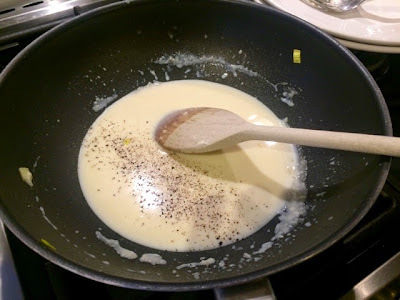 Add the milk a splash at a time allowing the roux to be absorbed each time before adding more Continually stir until you’ve created a thick and creamy sauce. Season generously with salt and pepper. 6. 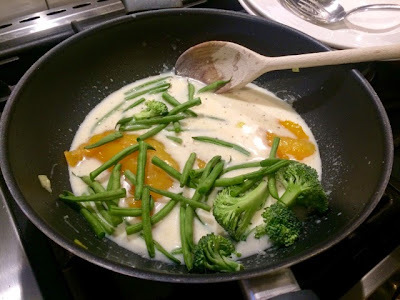 Add the haddock fillets and the beans and broccoli to the liquid. 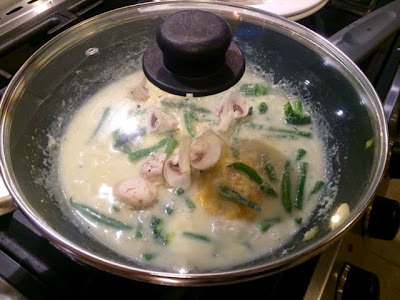 Bring to a simmer then cover and leave the fish to poach and veg to steam for ten minutes. With a couple of minutes to go throw the mushrooms into the mixture and return the lid. 7. Meanwhile check the potatoes and drain when cooked. 8. Return the bacon and leeks to the pan. 9. 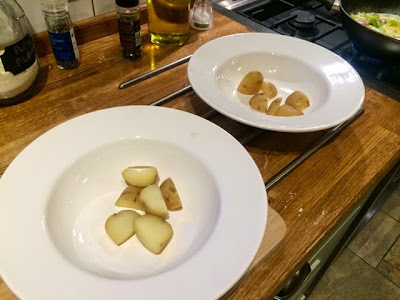 Dish the potatoes up into two bowls, top with a haddock fillet and pour over the rest of the veg and the sauce, sharing evenly between the two bowls.